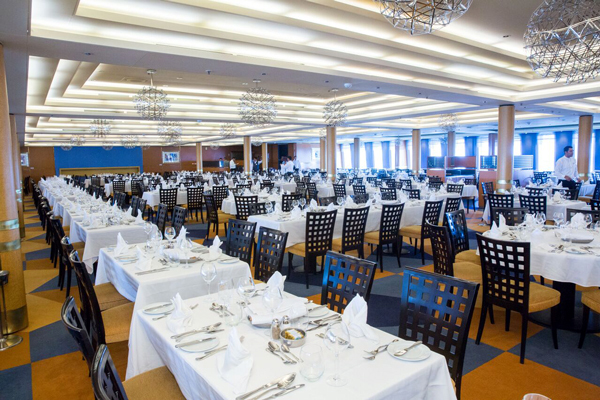 FORT LAUDERDALE, FL - April 13th, 2018– With the recent ribbon cutting and inaugural ceremony and voyage of its new ship MV Grand Classica, The Bahamas Paradise Cruise Line's unique two day cruise and stay, out of Palm Beach, Florida to Grand Bahama Island is now daily. Fondly referred to by the cruise line's President, Kevin Sheehan, Jr., as "our Italian beauty," the new ship now provides the opportunity for the cruise line to potentially deliver as many as 500,000 passengers to Grand Bahama Island annually, from the Port of Palm Beach, Florida. 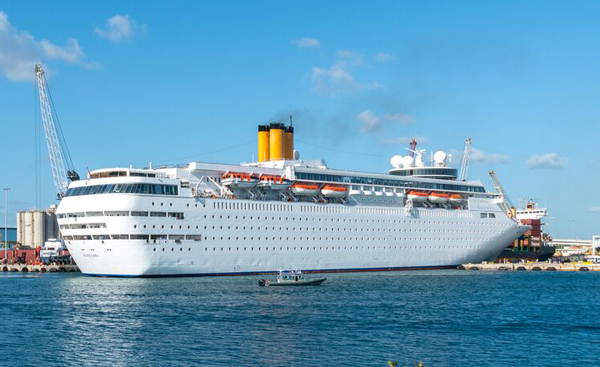 The Grand Classica and its sister ship, The Grand Celebration, will continue making two night cruises to The Bahamas with the option for stay over at one of Grand Bahamas' resorts, doubling the business of the cruise line. 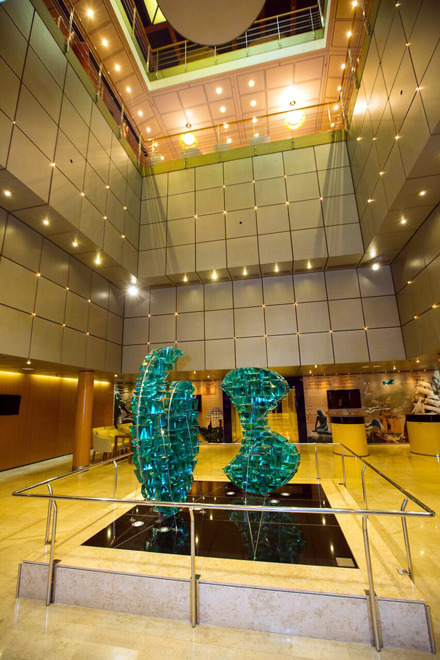 The new ship boasts 10 decks, a large casino, spa, pools, eight dining options, live entertainment, shopping and a variety of lounges. 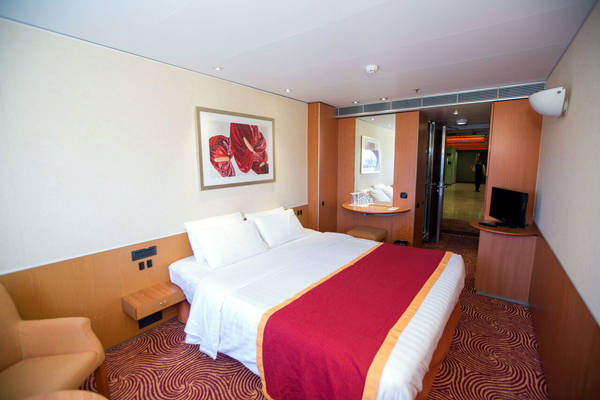 The ship's 658 staterooms include spacious interior cabins, ocean views and some suites. Ribbon Cutting at the Inaugural Ceremony of Bahamas Paradise Cruise Line's MV Grand Classica - l-r CO-MC Janetzy, Discover the Palm Beaches; Jorge Pesquera, CEO, Discover the Palm Beaches; Manuel Almira, Director of the Port of Palm Beach; Chair of the Board of Commissioners, Dr. Jean Landfair Enright; President, Bahamas Paradise Cruise Line, Kevin Sheehan; Captain Meinhardt Jakup Hansen; CEO, Bahamas Paradise Cruise Line, Oneil Khosa; Mayor of Palm Beach County, Melissa McKinlay; Bahamas Minister of State for Grand Bahama the Honourable Kwasi Thompson and CO-MC TA Walker. 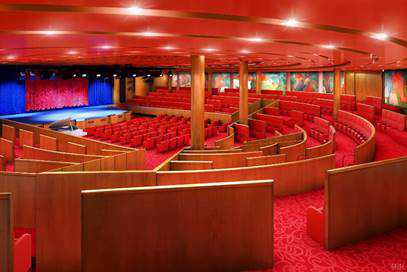 The inaugural ceremonies and ribbon cutting in the ship's 'Legends Theater', was a well-attended affair. 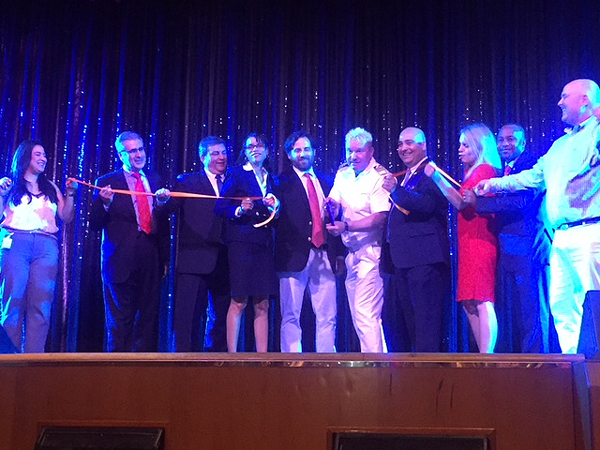 Attendees included business and political leaders from the Palm Beach area, travel agents, media and loyal guests of the cruise line (one couple shared that over the past 7-8 years, they have cruised with Bahamas Paradise up to 175 times). Bahamas Paradise is the only cruise line that offers cruises with the option of a resort stay. To this end, Minister Thompson shared that one of the largest properties on Grand Bahama, The Grand Lucayan Resort - currently closed - should be re-opening within the year. The Minister said about the resort that within the next few months, the negotiations should be concluded and the refurbishments completed. "Grand Bahama is the best Island in The Bahamas for all those companies interested in investing in technology, interested in investing in crypto-currency, interested in blockchain technology," the Minister said, adding, "Grand Bahama Island is the place for you to visit come and get some sand between your toes and the beach experience. You can come and enjoy a wonderful experience and get some business done at the same time." President of the cruise line, Mr. Sheehan agreed with Minister Thompson about Grand Bahamas’ being an ideal destination. He said that because of the beauty of Grand Bahama and the trip there on the Bahamas Paradise, "it can be called the bragging vacation. You go down, have a great time on the ship, and then spend a few glorious days in Grand Bahama, which offers so much to see and do."